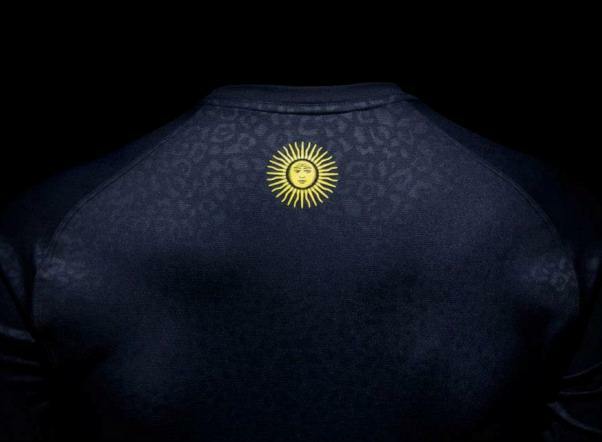 When Argentina unveiled their new home kit for 2013 The Rugby Championship, we were somewhat uncomplimentary about Nike’s decision to stick a bunch of tacky Puma spots up the sides of the new Los Pumas jersey. Given that fact, you might expect that we’d be even more hostile to this new Alternate jersey, which takes that motif and covers the entire shirt with feline markings. And yet… y’know what, we like this – a lot. 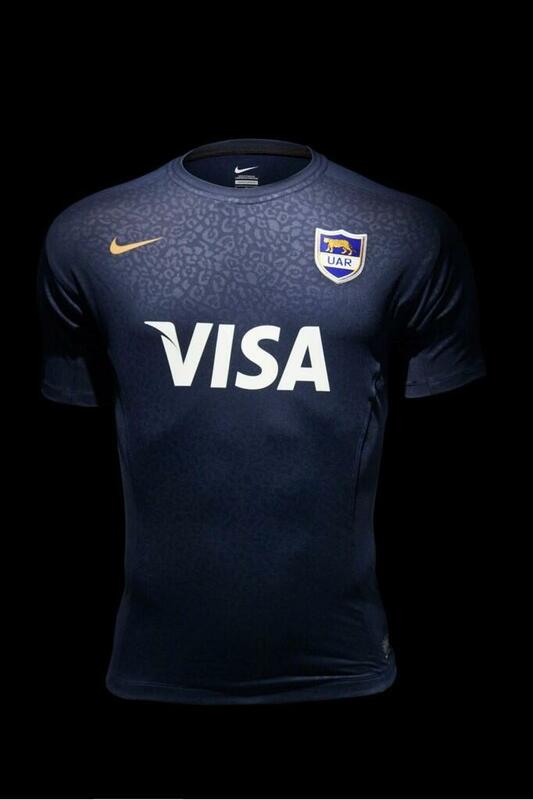 We absolutely love the combination of dark blue and gold (borrowed from the puma on the UAR badge), and while me might like it even more if it was a bit more lesser-spotted, we can forgive it, because it’s subtle enough that it doesn’t offend our eyes this time around, and at least by covering the entire shirt with it, it looks less like the designers have just spilled a bit of blue paint on the jersey as it was being printed. Might be cool to have a 7s shirts section? Great concept for a site, love it. Thanks Rich – we’ll hopefully do a sevens round-up once the tour kicks off again, there’s sure to be some pretty eye-catching designs!